After I took over the garage man cave a few months ago to baste a quilt on the Mr.'s work bench here, I was permanently banned after that. Too bad that gorgeous work bench is too large to bring into the sewing room. I had to improvise. I wanted to pin my project rather than spray baste or hand baste. I was able to lay out the material on a open portion of our hide-a-bed. A girl's gotta do what a girl's gotta do! That technique did not work out as well as I had hoped AND I should have learned my lesson by now of using a cheaper quality fabric. The inferior fabric was more likely to pucker so I used a heart chain and stipple stitch to cover up my errors. Shabby Chic wedding lap quilt complete. I used about $10 of retail purchased material, shown on this post. The rest of the quilt including the backing were all scraps on hand. When I make these lap quilts, I am amazed at how much fabric it takes. I have what you could say is a paltry stash, pretty much two tubs of small remnants and one dresser drawer of yardage. Is woven of her love and dreams and thread. My step niece will be so surprised! Gardening and flower images will begin soon! After a multi-year hiatus because of deer and critter damage, our greenhouse is almost finished and I can garden again! We began last year with a kit from a wholesaler, then the Mr. fell ill for a number of months and has felt better these past couple of months so we could finish the project. Filling in dirt in the planter boxes now. Today is my birthday! 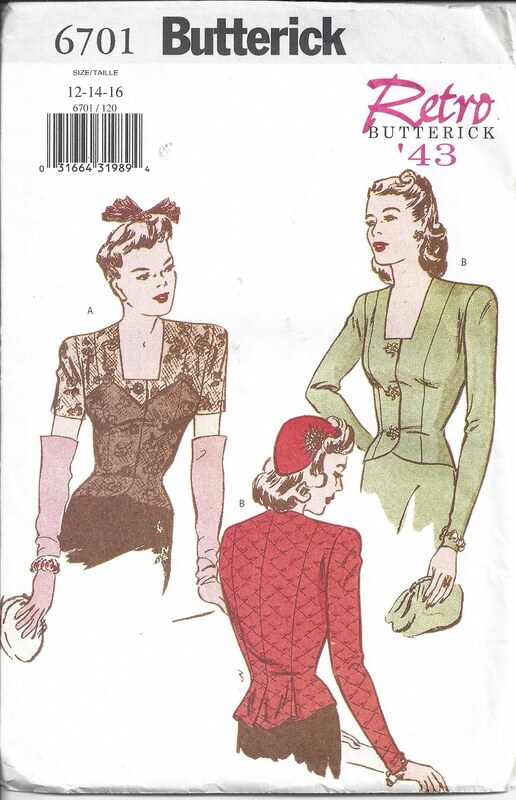 In celebration of that fact, I have added to the post a Pattern of the Day a Retro '43. These three sundresses scored for a total of $20 from hospice thrift in Folsom. I arrived just as these donated dresses were rolled onto the sales floor. A bit of hand sewing to complete a project, a bit of thrift shopping, taking in a few movies and dining with family, a wonderful birthday for me overall. Finally, linkups with Amanda Jean at crazymomquilts for Finish It Up Friday and Beverly at howsweetthesound for Pink Saturday. What better way to kick off the first day of summer than with a Summer Bucket List blog hop and linkup? Blogger Anne of spygirl-amb.blogspot.com is the host and posted her "clutter crime scene." I first discovered her with her 52 Pick-Me-up closet remix prompts and had fun with fashion posts. Since I've withdrawn from posts of me in thrifted fashion, I was pleased to see she was hosting a hop of another sort. 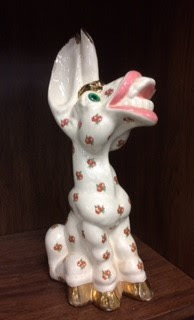 Grinning donkey was a contender for a Weird and Wacky post but just had to be shared here. This ceramic was so ugly it was cute - I resisted the temptation to buy. I have usual quilting goals - to finish projects that I started. My college course will begin in August so no rest for the wicked. Where my heart really lies is in some tropical location, listening to Latin music while people watching, drinking some frou frou beverage and slathering myself in suntan lotion, wearing a wide-brimmed hat, Ray Bans and a bikini I barely fit into. After entering the 2017 Pantone Quilt Challenge, I realized my error in going traditional when nearly all others went modern. Since I have a background in painting, abstracts in particular, it should not be that difficult to translate to the quilt medium. (Do I hear peals of laughter from those of the more experienced among you?) Perhaps quilting abstraction is something that can't be self taught? I will be ready for next year's event and the 2018 color of the year. I've read that modern quilting is ALL quilting done in present day. I tend to think of modern as breaking out of the traditional block mold. My newest quilt love is a scrap vortex low volume quilt at wombatquilts.com. This type of quilt would be a quick and easy summer project to complete. This was the quilt I had in mind that morphed into the shabby chic wedding quilt. Now all of my low volume fabrics are gone - time to replenish the stash! Visiting the momster in the Pacific Northwest where I left yards and yards of lavender print fabric from detailed on this post i-have-sabled. There will be a pink/lavender candy sweet project in the months to come. Labels: Quilts in Abstract, what is modern quilting anyway? Since I am heading up to the Pacific Northwest later this month to take care of some family business, I pieced together a Shabby Chic Wedding Quilt for a newly wedded couple. I wasn't able to attend the wedding in April and I want to deliver my present in person. This past weekend I was able to finish 16 blocks and cornerstones with scraps on hand with a goal to finish the quilt top this week. I love the look of the scrappy cornerstones. I got the idea from thrifted pieces of a mystery quilter. The bride chose a taupe wedding dress with bridesmaids in accents of pink and peach. 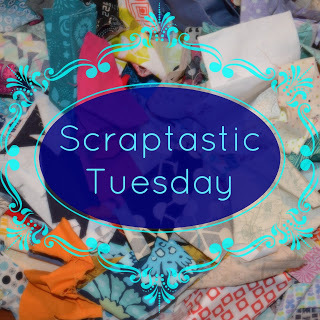 While I have enough scraps to piece a backing, my daughter and I made a trip to a local fabric retailer and picked up a couple of pieces to audition. 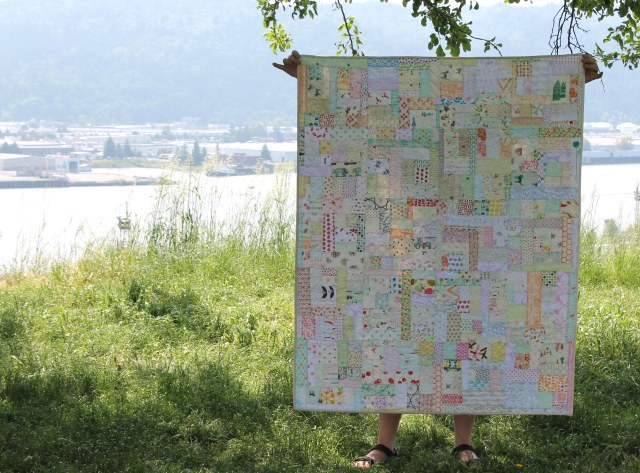 This project began as a low volume scrappy quilt but as some projects do, it took on a life of its own. I didn't intend for it to be a wedding quilt, it just guided me that direction. As you can tell, the blocks are comprised of rectangles. The center of the block is two of the 2" by 3-1/2" rectangles. We are enjoying our respite from intense summer heat with a spate of cool weather. Our greenhouse project is almost complete (a year and some change later), and I can resume one of my favorite activities - gardening! I went through another round of destashing my uglies - culling out the ugly fabric from my stash. Not all of this fabric was ugly, rather projects I have lost interest in or remnants that I have upgraded in pattern or color. I filled an entire kitchen bag and sent it to the Great Thrift Shop Beyond. My previous posts about this process appear here and here. I read a quilt blogger tip of organizing fabric into projects. This also helped me with destashing certain fabrics. So far, I have the following new quilt projects in handy dandy clear zippered pouches. In the future, I'd like to invest more time into each quilt, trying more complex blocks not necessarily denser quilting. Even though I want to move onto my pineapple blocks, I feel compelled to finish as much of my WIPs as possible. After my 2017 Pantone Quilt Challenge entry of my hand quilted mini wall hanging, I have decided to resume my needlework projects. When the Mr. has doctor appointments, it helps pass the time AND they are portable. I may even enter the world of QAYG (quilt as you go blocks). On that challenge, it was my first entry in an online quilt challenge. The winning ones that the judges chose were all modern abstract quilts - so now I know to go less traditional and uber modern for these types of challenges. I am even venturing further into the world of sewing. I like to alter, refashion and mend my and the Mr.'s clothes. 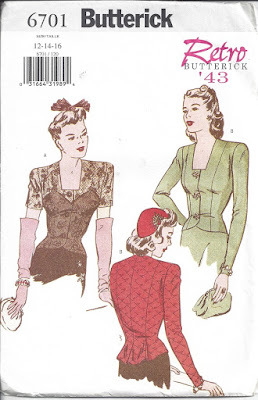 Right now I am keeping an eye on the sergers listed on an online secondhand auction site. I know you can finish off the edges of material, knit in particular, with that type of machine. My go-to thrift shop did not disappoint having spent less than $20 for important stuff such as a biodegradable pot, $1.50 bag of plastic boy's figurines (pictured above, I don't pass up that those types of toys anymore because you never know what will be collectible or what will resell). On the subject of toys, I also bought a bag of Homies plastic figurines ($3.50). Thrifting continued with a Tommy Bahama ceramic ashtray and one of my Top Ten favorite thrifted items - a black Cashmere (*sings the word*) sweater. It has one small moth hole I can easily repair. Living in a rural area, there must be more quilters than in the urban areas. I rarely find fabric in the downtown Sacramento secondhand shops. Remnants galore, a quilt book and red thread to quilt my patriotic quilt rounded out the score. Not pictured are a patriotic Ginny doll and a couple of patterns, both to make upcoming appearances. Rounded out the secondhand finds - a 70s retro floral print for a knit basket, some embroidery hoops, low loft batting, a kit and material. 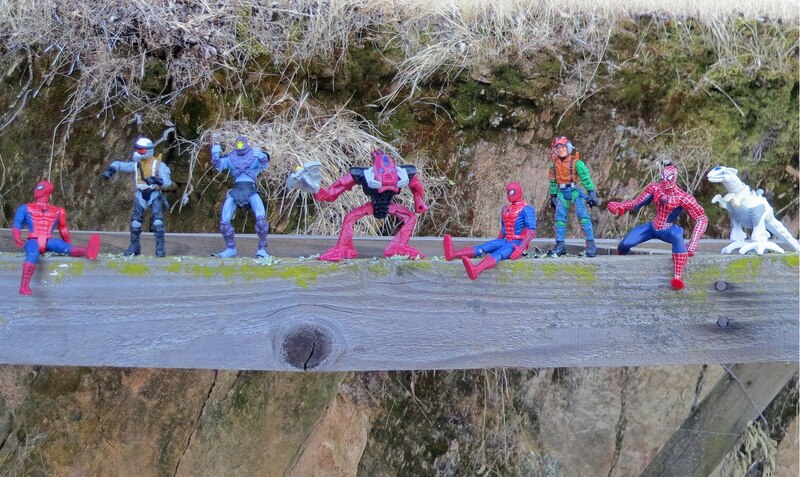 Have you had any luck with reselling boy's toys? If you have a chance, pop on over to Cityvoter and cast a vote for me as Best Local Sacramento blogger! Labels: boy's toys, destash the uglies, Great Thrift Shop Beyond, QAYG, sergers - what are they good for?